Our campers come from all over the state and are accepted regardless of race, ethnicity, gender, orientation or handicapping conditions. Our only requirements are that campers fall within the particular age group and that they meet the financial income requirements. A week at Copper Cannon provides so much more than just games and activities. A week at Copper Cannon is a chance to make friendships and memories that can last a lifetime. It’s an opportunity to get great, healthy meals and learn about nutrition. It’s a chance to find out that things that are educational can also be fun. And a week of camp can be a chance for children to try new things, to gain confidence in themselves, to learn new skills and to get out of their comfort zone. It’s a chance to escape the pressures of school and society, and the grip of technology and have fun the way people at camp have been having fun for many years. Our mission at Copper Cannon is not only to provide a camp experience to under-served youth, but to provide a high-quality camp experience. The activities, meals, staff, facilities and everything else associated with our camp is as high quality as other for-profit New England camps. There are life-changing opportunities available at camp that we believe are unique to a summer camp setting. These opportunities might not be experienced, learned or realized at home or at school. Summer camp is more than just a week of simple activities or a place for kids to go while their parents work in the summer. There is a reason that summer camps have traditions that transcend generations. A “free” camp does cost money. The cost for a week of camp is $600 per child. Each year it is a challenge to balance the budget, but the board of directors is firmly behind the mission of Copper Cannon Camp. With many families struggling to meet their basic necessities, the thought of summer camp is only a dream. Copper Cannon’s role in child development is essential for our youth. Fundraising receipts come from three primary activities – including our annual auction, membership drive, and the Sponsor a Kid appeal – amounting to 60 percent of total revenues. Our lead donor, the New Hampshire Elks, has contributed 13 percent of our annual income over the past 50 years. The rest of our funding comes from foundation grants, dividends, state food subsidies and general donations. At Copper Cannon Camp, we are proud to uphold those traditions and continue putting our mission into practice. 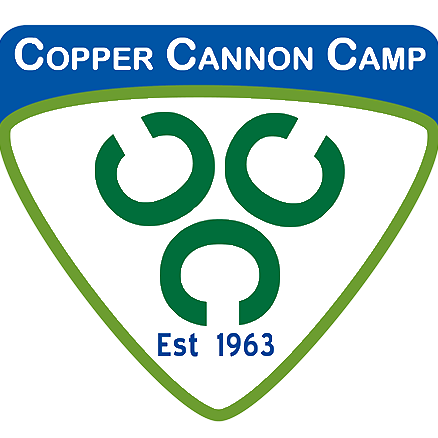 The summer of 2013 marked the 50th anniversary of Copper Cannon Camp, and we are excited to put our principles into practice as we move into our next 50 years. 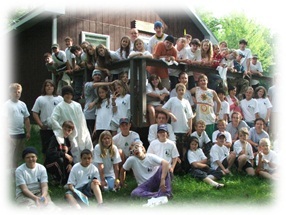 Copper Cannon Camp is a 501(c) 3 not for profit and our tax ID # is 23-7062549. If you or your employer need additional information, please contact us.